For a while now, I've been running into a problem when counting on my fingers, specifically, that I can only count to ten. My solution to that problem has been to count in binary on my fingers, putting up my thumb for one, my forefinger for two, both thumb and forefinger for three, etc. However, we run into a bit of a problem when we get to the number four. Specifically, it requires us to put up our middle finger, which results in a rather unfortunate gesture, which is not typically accepted in society. This type of number is a rude number. We come to the next rude number at 36, when we raise the thumb on our second hand and the middle finger of our first hand. The definition of a rude number is any number that, under this system of counting, results in us putting up only the middle finger of any hand. Once we pass 1023 (the maximum number reachable on one person, with two hands of five fingers each), assume we continue with a third hand, with additional hands added as required. Write a program or function that receives an input and outputs a truthy/falsy value based on whether the input is a rude number. An integer between 0 and 109 (inclusive). A truthy/falsy value that indicates whether the input is a rude number. This is code-golf, so the lowest score in bytes wins. Input is in unary, as the length of a string of xs. This is a trivial solution, you just want to convert to base 32 and check if there is a 4 in it. It's interesting that /4/.test(...) cost one more byte than ....match(4). Saved 17 bytes with @tsh's method. Noting six hands are required to represent 10^9 converts to vector of 6 elements of the base 32 representation and checks if a 4 exists in any element. Checks if there is a 4 in the base 32 representation of the number. Returns either Nil as false or a Match containing a 4. You can prove this by the fact that \$2^5 = 32\$ so each digit is the state of each hand. Alternative that is 1 character shorter, but 1 byte longer, too bad that ∈ takes 3 bytes in unicode. Port of @Adám's APL (dzaima/APL) answer. Takes a number as a base-256 string. The above bytes define a function that takes the number as input in the EAX register, and returns the result as a Boolean value in the EAX register (EAX == 0 if the input is not a rude number; EAX != 0 if the input is a rude number). ; Determines whether the specified number is a "rude" number. Uses a neat matrix-based approach now (courtesy of @Giueseppe). It generates a 5x7 matrix of bits, converts this to a series of base 32 integers, and checks for any 4s. Checks every 5-bit chunk to see if it is rude (equal to 4). I use string base conversion to avoid having to separate the numeric literals for 32 and 4. 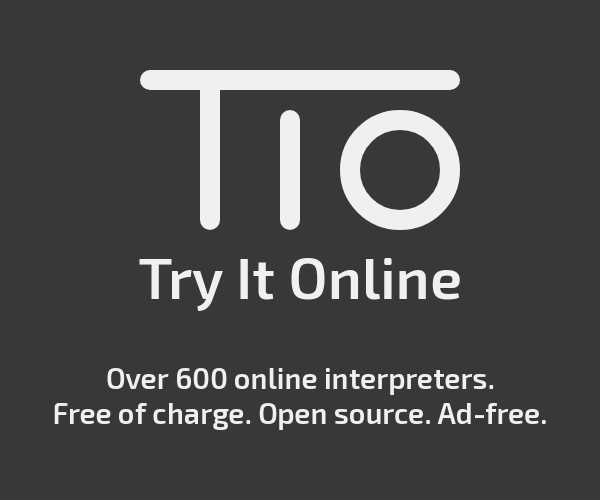 Try it online! Checks if 4 is an element of base(32,x) (base conversion). O @ u / s . . . . . . .
Feel free to say ideas on how to reduce this further, if any. Try it online! Link includes test cases. Outputs zero unless the number is rude. Works by converting the input to unary and then to unary-encoded base 32 and counting the number of 4s in the result. .contains("4")   //  And check if it contains a "4"
Based on these bit twiddling hacks. Explanation: Only 6 hands need to be checked due to the limited range (30 bits) of the input that's required to be supported. The magic number m is equivalent to 111111 in base 32, so that the first operation toggles the rude bits in the input number. It then remains to find which of the 6 hands is now zero. Outputs 4 for rude numbers throws an exception for non-rude numbers. Algorithm: check low 5 bits with x & 31 == 4, then right-shift by 5 bits, and repeat if the shift result is non-zero. Callable from C with char isrude(unsigned n); according to the x86-64 System V calling convention. 0 is truthy, non-0 is falsy (this is asm, not C1). This takes advantage of the short-form op al, imm8 encoding for AND and SUB. I could have used XOR al,4 to produce 0 on equality, but SUB is faster because it can macro-fuse with JZ into a single sub-and-branch uop on Sandybridge-family. Fun fact: using the flag-result of a shift by more than 1 will be slow on P6-family (front-end stalls until the shift retires), but that's fine. Footnote 1: This is an assembly language function, and x86 asm has both jz and jnz, so as per meta I can choose either way. I'm not intending this to match C truthy/falsy. It happened to be convenient to return in AL instead of EFLAGS, so we can describe the function to a C compiler without a wrapper, but my choice of truthy/falsy isn't constrained by using a C caller to test it. Inspired by @kevin-cruijssen's answer. Only works for 2 hands. Not the answer you're looking for? Browse other questions tagged code-golf number decision-problem or ask your own question. Am I a Cullen Number? Am I an Automorphic Number? Is it a Harshad Number? Do I have a prime twin?